Every week a special Haskell programming exercise is published here and in Code Expert. Each exercise is carefully selected by the Master of Competition (MC)—Dmitriy Traytel—to separate the wheat from the chaff. After 7 weeks, the intersection of the wheat with the FMFP students will receive delicious prizes in a in-lecture ceremony. Participants submit their solutions via Code Expert. Submissions by mail are accepted only in two exceptional cases: (1) the participant is not enrolled at ETH and therefore cannot use Code Expert, and (2) the solution uses a Haskell library/pragma that is not available on Code Expert. In case (2) precise instructions of how to run the submission (including version numbers) are a necessary requirement for the solution to be evaluated. Every week, MC's favorite submissions are discussed in a blog post. The submissions are evaluated with respect to different criteria (but the function's correctness is always a must have), which are announced along with the exercise. The best 10 solutions receive from 1 to 10 points (more is better). The points and the names of the participants are made public in a Top 10 of the week and aggregated in a semester ranking. Important: If you don't want your name to appear on a publicly visible webpage (but still want to participate), write to the MC and suggest a pseudonym. Finally, the MC employs a zero tolerance policy against plagiarism. Please compete fairly and individually. Submissions that have been developed jointly by two contestants have to be clearly marked as such. Violations of those rules may result in arbitrary point deductions. Write a function oddSum that takes five Int arguments as input and computes the sum of the maximum, the minimum, and the median of the arguments. The shortest (in terms of number of tokens1) solution wins! Library imports and type signatures are excluded from the token count. As a measure of reference: the MC has an optimized (but not too crazily optimized) 27 token solution. 1. This competition continues a long-standing tradition of in-lecture functional programming competitions established at TU München. The definition of tokens is borrowed form there. Here are the best 10 26 student performers in the first competition task. The MC is happy about 104 student participants in this first week of the competition (+ 1 tutor + 1 professor + the MC). Several participants have submitted more than one solution without any comments (such as -- grade me), leaving the MC the choice to pick the worst one in terms of tokens. However, the MC was so happy about the fact that every participant has submitted at least one correct solution (determined by the MC by a mixture of testing and manual inspection), that he decided to take the best submission in terms of tokens into account. Before we start looking at the best solutions, let's see what one can do with what we've seen in the lecture so far. The following solution is MC's attempt to only use the material from the lecture and also one of the submissions by our number 3, Simon Yuan (and a few others, who wasted tokens by adding some needless parentheses or the like). With 58 tokens it is far away from being Simon's or the MC's best solution and even far away from the top 10. To understand how this solution works, one has to realize that the guards are matched sequentially: i.e., the program will only check c>d after having established a≤b and b≤c. With this insight it is pretty obvious what this code does: the last trivial guard otherwise is only reached once a b c d e is sorted. Now we have a baseline to compete against. It is fairly obvious, that sorting should be part of any successful solution. Can we sort the five elements in Haskell, without implementing our own sorting algorithm? Of course: we can just use the right libary function. To use this function we must import the library Data.List, which contains many useful functions about the Haskell list type (more on this next week in the lecture; what you see below should be mostly intuitive usage of finite sequences of Int elements). But, hey, imports cost 0 tokens! Once the list is sorted, we have to think how to extract the minimal, maximal, and median element. Many solutions, including the following one by an anonymous professor, decided for an index-based addressing, written list! !index in Haskell. This gives 34 tokens (or 33 when using where) and brings us closer to the top 10. To get into the top 10, this time it was enough to access the first and last elements of the sorted list using library functions (head and last). Note that head xs are two tokens, while xs! !0 are three. Alternatively, but less efficiently, one can extract the minimum or the maximum of the (already sorted!) list. Alas, all 31-token solutions, including one submitted by a tutor who likes applicative functors (more on this much later in the lecture), are variations of the following two. Side remark 1: Some participants mistook tokens for characters, and tried to minimize the number of characters used in their program. Readability suffered from this quite a bit, e.g., oddSum a b c d e=xs!!0+xs!!2+xs! !4 where xs=sort[a,b,c,d,e]. Useful advice: leave the reader of your program some air to breathe. It is better to kill needless parentheses than spaces (also in terms of tokens). Before we talk about the semantics lets see if syntactically this solutions does its best in terms of tokens. No! Prefix function application always binds stronger than any infix operator. That is, f a b c d !! g x y z is always parsed as (f a b c d) !! (g x y z). Have I already mentioned what to do with needless parentheses? Don't get me wrong: Gabriel did a great job by using subsequences in the first place. But those two parentheses around subsequences ... cost him three competition points, which in the end might decide between Lindt and Migros Budget. So how does this solution work? The library function subsequences computes the list of subsequences (i.e., a list whose elements are lists themselves) of the input list, where a list xs is a subsequence of another list ys if one can obtain xs by removing zero or more elements from ys (but without reordering the elements). For example: subsequences [1,2,3] = [,,,[1,2],,[1,3],[2,3],[1,2,3]]. Now, when applied to a list with five elements, the result of subsequences will contain the subsequence consisting from the first, middle, and last element in the 22nd position (i.e., accessible using the 0-based index 21). This holds regardless of the list elements' types or values and is exploited here. Finally, the library function sum sums up the elements of this subsequence, which is exactly what is asked for. BTW: you might ask: is computing subsequences the most efficient way to do this? The MC answers: certainly not, but who cares? It is all about tokens. Using the infix operator $ is a useful trick to save tokens (and sometimes also to improve readability). It is nothing else than function application (f $ x = f x), however, the low precedence of this infix operator helps to avoid parentheses: instead of f (g x) we can write f $ g x (or f $ g !! i instead of f (g !! i)). Let's look at two other 27 tokens solutions. The first one was found by the two students Börge Scheel and Roger Baumgartner. The second is the MC's best solution. The first solution works by sorting and then using the library function chunksOf, which splits a list into shorter ones (of length at most 2 here as indicated by the passed argument). We have chunksOf 2 [1,2,3,4,5] = [[1,2],[3,4],]. The next applied function is the important map function, which we will see again in the course. It applies its first function argument (yes, in Haskell functions can be passed around as arguments—map is called a higher-order function because it takes a function as an argument; more on higher-order functions in two weeks in the lecture) to every element of the list passed as its second argument. For example: map head [[1,2],[3,4],] = [head [1,2], head [3,4], head ] = [1,3,5]. Reading this column-wise, we observe that after summing this list the elements in the even positions (2 and 4) cancel out, whereas the elements in the odd positions (1, 3, and 5) survive this telescoping. Side remark 2: When writing this explanation, the MC noticed that it is possible to use a very similar function scanr1 (-) instead of scanr (-) 0 to save one token. But unfortunately, we are past the deadline now. - arguments and transforms them into a list in a way that uses few tokens. oddSum = sum . (!! 21) . subsequences . sort . read .::. printf "[%d,%d,%d,%d,%d]"
The sum ((!! 21) (subsequences (sort ...))) part looks familiar. We've seen the function read, which converts Strings to values of different types (or complains with a parse error) in the first exercise class. The type of printf is to complex to explain at this point; however when being used the function behaves just as its homonymous C ancestor (i.e., the number of arguments it takes depends on the formatting string). The second best solution by Loris Reiff is quite similar (also using printf and .::. ), except that it uses a slightly less token-efficient way to extract the first, middle, and last argument from a five-element list. Fortunately, all of them found the path of the righteous (wo)man in the end. And in case you wonder: the longest correct solution has 302 tokens and is, well, a bit repetitive. Wrapping up: what have we learned this week? Tokens are not characters. Kill needless parentheses. Keep useful spaces. Use lists to handle many elements uniformly. Sometimes it is helpful to structure your program in subtasks. Here: assemble a list, sort, and extract the result. Optimize each subtask separately. Lists have still not been spotted in the lecture so far. So let's do some number theory instead. The digital product of a number n is the product of its (base 10) digits. The computation of the digital product can be iterated until a single digit is obtained. The single digit is called the (multiplicative) digital root, whereas the number of iterations needed is called the (multiplicative) persistence. Thus the digital root of 999 is 2 and the persistence is 4 (as we had to compute four digital products). As last week, the MC is looking for the shortest solution token-wise. (Next week we will move to some other criterion.) His best attempt needs 30 tokens. Just beat it! Here is the overdue top 10 for week 2. This week 66 students have submitted a solution. You may wonder about the emojis used above. The MC will explain. But first let us look at a solution that reflects the state of the lecture at the submission date. It was submitted by the still anonymous professor with the comment "I didn’t try to be clever." and counts 57 tokens. Without trying to be clever, there are some obvious further token-optimizations possible in the above solution. (E.g., what have we learned last week about needless parentheses?) Altogether this might save around 10–15 tokens, which would be still miles away from the top 10. But one digital product is not enough. We need to iterate it and count the number of iterations until we reach a single digits. The function until is another perfect match for this exercise: until test f x computes the first y = f (... f (f x) ...) for which test y is satisfied. The MC is a bit embarrassed to have wasted 5 tokens on the digital product and 3 tokens on the (+1) functions, which exists in the Prelude under the name succ. Tynan Richards was more careful and used a bunch of funky functions from somewhat exotic modules. And he wrote a nice explanation that speaks for itself. Interestingly, Tynan's solution is actually recursive, i.e., he did not use a combinator (a la until) to iterate digital products. - well as persistence 0, so we return the value calculated by 'upd1 0 . dupe'. - tuple to 0, giving (0, x). - of bool, which enables the complete lack of parentheses. Lets finally look at the winning solutions. Five of the six were slight variations of the following one by Simon Yuan. Again, it is beautifully documented. (lets call this function dp). (in base 10) of n as its elements. product then takes to product of all the elements in that list. This list contains the input n as well as all the intermediate steps. "break (<10)" splits the list into 2, it is a tuple of 2 lists. The breakpoint is at the first element for which (<10) is true. x will be equal to dp x. Hence x is the digital root. To save 2 tokens, make the function pointfree by omitting the input twice. Above genericLength is used instead of length to obtain an Integer rather than an Int. The iterate function deserves special attention: yes iterate f x just iterates the function f as in [x, f x, f (f x), ...]. Remarkably, the iteration never stops, i.e., the output of iterate f x is unconditionally an infinite list (more on this in a few weeks in the course). The lazy evaluation strategy of Haskell saves us from waiting infinitely long for it to finish. In the following computation we only need to observe a finite prefix of the infinite list. of x is smaller or equal to x (Except for zero !!). so that the minimum (lexicographical probably) selects the correct tuple. Here, <<< is another operator for composition . (with precedence 1, whereas . has 9) and arr is another operator for application $ (with precedence 9 as any function written in backquotes, whereas $ has 0). Finally, the general function liftM2, whose type cannot be explained at this point, behaves in this particular instance as liftM2 z f g x = z (f x) (g x). Great, now to the emojis. They can be considered as special awards for a distinguished achievement in a particular exercise. The precise meaning and value (e.g., in terms of Schoggi) of these awards is unclear yet (even to the MC), but hey, now you have a nice emoji stuck to your name. It is conjectured that 11 is the max persistence for base 10.
and they have tested it up to 10^233. The MC had advised Simon not to use this program and not to rely on the size of the universe. Clearly, we want to write programs (especially in this competition) that will work forever and under all circumstances. And as we know the universe is expanding. Incidentally, taking x first elements of that list when computing the persistence of x (instead of the fixed 100000 first elements) will always suffice—this was also exploited in Gabriel's solution. The second award goes to Moritz Knüsel. He is a true black hat  as his 13 token solution demonstrates (comments: his, censorship: MC's). \genericLength *** head $ span (>=10) $ iterate (product <<< fmap read <<< fmap return <<< show) %d\n"
In principle, Moritz would have won this exercise, if it was not for the censored "back door" he used. To Moritz' defense: this was not explicitly prohibited in the rules (but of course in the unspoken rules of the competition) and Moritz was already regretting his usage of such an evil and unportable function as his first comment indicates. Challenge for everybody: can you write a solution in such a style (i.e., using an external interpreter) without using the back door? For this to work, the interpreter would need to be pure (i.e., a side effect free calculator) and expressive enough to computer the digital root and persistence. If something like that is possible, the MC has to redefine the notion of tokens to take the length of a literal string into account. one has submitted this solution or a better one). The MC feels guilty. His task is to come up with exercises that are original enough not to be on Rosetta code. It is surprising that even the type signature matches. Fortunately, the solution there is not token-optimal, yet it is uncomfortably close to the the optimum. The MC promises to research such "related work" better next time. To get to the top 10 one typically has to try to be clever. Walk down the right back alley on Hackage and you can find anything. Include a comment describing your implementation to make MC's job easy and the MC happy. But be careful: the comment might end up on a public webpage. The definition of tokens should be reconsidered with regard to literal strings. Yay, finally some lists in the lecture! Here is the task of week 3: Given a finite directed graph G and a subset of its vertices S, define the function that computes the minimal elements in S with respect to G. An element n is minimal in S with respect to G if there is no other element m in S, such that there exists a path from m to n in G (note that only the start point m and end point n of such a path are required to be in S). We represent directed graphs by their adjacency matrix using the type [(Int,[Int])]. For example, the entry (1,[2,3,4]) in such an adjacency matrix means that vertex 1 has outgoing edges to the vertices 2, 3, and 4. And the entry (2,) means that 2 has no outgoing edge (to the same effect we could have just omitted that entry). You may assume that for each vertex there is at most one entry in the adjacency matrix. Moreover, we are using lists [Int] to represent sets of verdices. The evaluation criterion is time efficiency. Your function will be tested on large graphs, small graphs, dense graphs, sparse graphs, short lists, and longer lists (but probably not too long lists). The solution of the MC is fairly unoptimized. It can handle lists of length up to few hundreds elements for larger graphs (100000 edges) in a few seconds. There is some room for improvement. Hint: :set +s in GHCi is useful to obtain some timing and memory measurements. This week there were only 26 student submissions (plus one by the MC). The MC is slightly disappointed. A decrease of 30% compared to the previous week is ok; a decrease of 60% compared to the previous week indicates that the exercise was simply too hard or not perceived as interesting. And this even though the idea behind this competition problem originated from a small "real-world" subproblem that the MC's alter ego has encountered in his recent (not yet published) research: compute the minimal elements of a set with respect to a preorder. The MC hopes for at least a non-decrease in participation next week. Even if you have close to 0 points at this point, it is still possible to get into the top 10 of the semester, although it will probably be hard to get into the top 5. Anyway, enough rambling. Let's get down to business. How are these results coming together? Through a sequence of increasingly harder tests. We start with a soundness test. For that purpose the MC uses his favorite random testing library: QuickCheck. Here is a ghci script that the MC ran on each of the submissions, after briefly ensuring that the submissions won't attempt to erase his file system (please don't do this: it would cost you a zillion competition points, but also earn you a ). The MC should explain the quickCheckWith invokation. QuickCheck will execute its function argument in this invokation on 3000 randomly generated integer lists ys0 and graphs xs of length at most 10 (also all randomly chosen integers in those lists are between -10 and 10). To ensure that the randomly generated graphs satisfy the promised property of having at most one adjacency matrix entry for each vertex, the MC used the union function defined above. For each of the 3000 tests, the output of MC's unoptimized solution graphMinSol (shown below) is compared (modulo sorting and duplicates) to the output of the contestant's solution GraphMin.graphMin. Only 17 participants (including the MC) passed this test. If your name does not occur somewhere below, try running QuickCheck on your solution to see the actual bugs. Three of the remaining participants would have failed the test, if the MC had not removed the negative numbers from the random inputs (via abs). Since nothing in the exercise stated that all numbers will be non-negative, these solution could be directly disqualified, in principle. In an unexpected bout of mercy, the MC decided to see where these contestants will end up and potentially penalize them with a point deduction later. As a reminder, let's put a "heavy minus" emoji next to their names: Antonio Russo ➖, Jorel Elmiger ➖, Miro Haller ➖. The whole truth about Miro Haller's submission is even more shocking. He spent great effort on making his solution very efficient. Yet a minor bug (even on positive numbers) compromised his whole work. When the MC reported the bug to Miro after the submission deadline, he quickly came up with a fix that still failed on negative numbers, but seemed to be correct otherwise. It is clear that the MC cannot give points to such a late submission, but he decided to at least evaluate this submission's efficiency. In other words: here is Miro's well deserved zombie emoji 履. Something similar happened also to Matthias Brun's efficient solution. However, he was suspecting a bug and took precautions. He submitted an alternative "naive" solution and asked the MC to grade that one. A wise decision to keep some points. [*] Wikipedia is not sure whether complete graphs are typically abbreviated with a "k", because of the German word komplett (which seems to be a false friend) or the mathematician Kuratowski. The MC then tested the following three graphs. And here are the results (in no particular order). Three timeouts and a bit fluctuation otherwise. Not really conclusive. But you already see three solutions that are equally fast on all graphs: Moritz Knüsel, Mike Boss, and our dead man walking. The timeouts are eliminated before the next round of course. The MC also played around with some permutations and subsequences of the above arguments. The test let i = 20 in (sort $ nub $ GraphMin.graphMin (k i) [i,i-2..0]) ==  has revealed a bug in Sandro Panighetti's solution, which managed to survive the QuickCheck tests. A good reminder that testing is good, but proving is better. The MC decided at this point that the remaining 11 contestants will all end up in the top 10. So the next tests are about the final placing. Here is the next challenge: lines with many complete subgraphs along them. The MC is defeated. And with him three other contestants. Next, we'll try something more intuitive and realistic. How about the prime numbers? Note, how the hash function is used to avoid measuring the time needed to print the results. The minimal elements of the above graphs are exactly the prime numbers (up to the bound b). 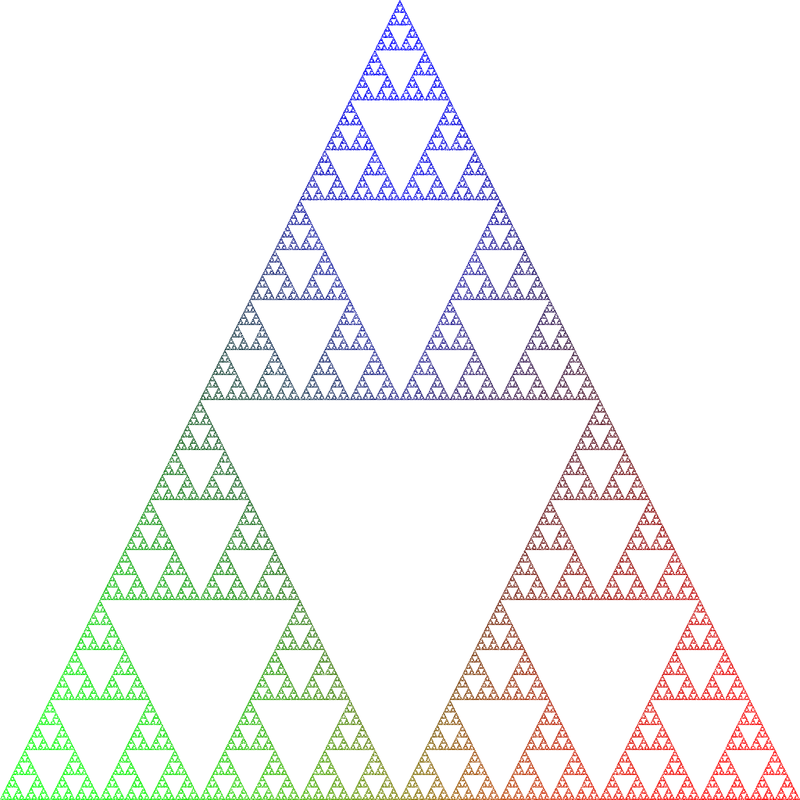 Perhaps this is the best algorithm for computing primes? Three students gone. Making the divisibility graph even bigger (e.g., let g100000 = g 100000), while keeping the list size (hash $ GraphMin.graphMin g100000 [2..10000]) also makes Loris Reiff's and Roger Baumgartner's solution time out. Time for a final showdown. Let's go Big Data. In an intermediate submission Moritz Knüsel claims to have tested his solutions on graphs with 20 millions edges. The divisibility graph with 2 millions vertices, has roughly 31 millions edges. Pretty amazing, huh? Note that those huge graphs are processed without any parallelization on a usual laptop. Finally, lets briefly sample a few of the best solutions. They are a bit long and the MC will (as usual) rely on the comments provided by the contestants. - Longer first part is just the conversion to type Graph. Problems with non-existing vertices and renaming are fixed. which means they aren't minimums. Miro Haller's corrected solution has a nice complexity analysis, which the MC didn't attempt to verify. First Miro has to fix the negative number problems, anyway. -- I use IntMap because they have (almost) constant access time I think. -- It depends on the number of bits the integers use. Finally, Moritz Knüsel has apparently found the right balance between using lazy and eager data structures. And it nicely handles edge cases separately. (Set2,Set2) -- returns the set of nodes seen and a set of nodes that lead back to sval. Oh, and the heavy minuses translate into a one point deduction (truncated at 0). Quickly check your program using <insert bad pun about a great library>. Seriously: Soundness is indispensable. Random testing does not ensure soundness, but helps eliminate silly mistakes. Almost all correct not obviously wrong solutions got into the top 10. Remember, remember, the negative numbers. Using the library is good. Outsmarting the library is better. When the MC evaluates efficiency, he makes random, subjective choices. Don't try to guess what he will evaluate, but just be efficient in all cases. A string s is a subsequence of another string t, if one can obtain s by removing characters from t. For example: The string "foo" is a subsequence of "fofo", "frohlocken", and "funktionale Programmierung is einfach toll". It is not a subsequence of "ofo", "FoO", "oooo", and "tofu". A lists of strings xs is subsumed by another list of strings ys, if for each string s from xs, there exists a string t in ys, such that s is a subsequence of t. Moreover, you may not use strings from ys more than once (as witnesses for the above "exists"). Write a function subsub :: [String] -> [String] -> Bool that checks whether its first argument is subsumed by its second argument. Evaluation criterion: efficiency. Your solution will be tested with short and long lists and short and long strings. Evaluation time! The MC apologizes for taking so much time. As last week, there were 26 student submissions. A 0% decrease is exactly what the MC hoped (and asked) for. Maybe for the next week, the MC should ask for a slight (say 10%) increase in participation. Only t0 compares the outcome of a student submission SubSub.subsub with the following naive solution subsub by the MC. All other tests do not require a "master solution", i.e., could have been easily run by the participants. The function tailSafe from the Safe module (cabal install safe) returns  for input . Only 17 student submissions passed these tests. All but one of them have received some points this week. The unlucky one—Valentin S.—who passed the QuickCheck tests but didn't get a point, was caught producing a wrong result on one of the subsequent (non-randomized) tests. A good reminder that testing can only prove the presence of bugs, but not their absence! For transparency, here are the timing results (not sorted in any interesting order). Actually, the above statement about all exponential solutions timing out is not entirely true. MC's solution MC-memo is a refinement of his MC-sorted solution, which in turn is a refinement of MC-naive. All of them are exponential in the worst case. MC-memo uses memoization to avoid recomputing recursive calls with the same parameters. This allows it to handle these test cases efficiently. Memoization has a cost though, which becomes especially visible when considering memory consumption (not shown here). But lets leave the optimization of memory consumption for another competition task. As the above comments suggest, everybody else used a more tractable algorithm to solve the problem. To quote Felix Huber "the problem statement screamed for a flow graph approach", and indeed all the remaining solution have used one or another algorithm solving the maximal cardinality bipartite matching problem. Namely: if one views the strings in the two lists as vertices in two partitions of a bipartite graph where two vertices are connected if one is a subsequence of another, then the problem at hand immediately reduces to finding a matching of a certain size. Interestingly, the two eliminated solutions both use the Data.Graph library. Apparently, not a very optimized library for this task. A better library seems to be available in a separate, not-easy-to-install package. It implements an augmenting path algorithm for computing the maximum matching. Five of the remaining seven submissions have used this package, which in a comment says: More efficient than using MaxFlow from FGL with constant weight and additional source and sink nodes. But not as good as Hopcroft–Karp would be. Miro Haller's submission uses another library, which implements the Hopcroft-Karp algorithm. At 365 lines of code, Miro earns the award for going hopelessly over the top with a competition exercise . (Or in other words: that's the spirit!) And even if you deduct the 200 lines that come from the Hopcroft-Karp library (as acknowledged in a comment by Miro), this is still the longest solution. But is it also the best? To be honest, the MC had a hard time finding the fine line between those 7 solutions, which all were pretty efficient. On the other hand, he didn't want to give the full points to all 7. The solution is very pragmatic. The MC decided to select a few tests (completely at random, unbiased, and very objective), measure the time for all the submissions, take the sum, and see where we end. For this ingenious approach, the MC awards himself the dice of true randomness . let ys = take num $ chunksOf len $ mk seed ""
This yields a bipartite graph with 200+400 vertices and 19009 (roughly evenly distributed among the 200 nodes in the smaller part of the graph) edges. Second, something with similar characteristics but false. Third, something with a lot of duplicated junk. Fourth, something with quite some junk. let ys = take 4514 $ chunksOf 4 $ mk 42 ""
Fifth, something that is close to a full bipartite graph with 300+300 vertices. And here are the results that translate to points as shown above. To create the ranking, the MC had to make several tough decisions. In particular, the fairness award from exercise 2 helped Loris Reiff to be grouped together with Miro Haller's solution. We have not talked about the winner yet. Moritz Knüsel has implemented something half-way homebrewed. From his comments, he did not seem to believe that his solution will beat the commonly used package. Well, it seems that the dice of true randomness was friendly to Moritz. Anyway, here is his solution. -- do we already have a match for i, and if yes what is it? -- have we already seen i? For comparison, here is Gabriel Giamarchi's solution. Sometimes a bit too wide (Gabriel must have a wide screen ), but nicely commented. The MC specifically appreciates the commented Test.QuickCheck import, which indicates that QuickCheck has been used to test this solution. --. Identify which strings are subsequences of what strings and build a (bipartite) graph representing this relation. --. Decide if a matching with the cardinality of the first set of strings exists in this graph. --     because I modified it very slightly for our purpose. --     However, I didn't understand the code so I do not use it. --This allows us to check if a string is a subsequence of another with complexity based mainly (not entirely) on the length of the first string. --Predicates that checks iif the string (c:cs) is a subsequence of x where x is a preprocessed string. --Complexity should mainly depend on the length of the first string. --A recursive graph-building procedure with preprocessing. --This build the graph representing the relation on strings "is included in". --We will then search for a matching in this graph. --to the number of elements checked (lnum) -> If not, hall's marriage theorem tells us that the matching we want is not possible. -- > good as Hopcroft–Karp would be. --We do not need to convert to a 'fwd' mapping since we can directly build one in the buildGraph function ! You can use QuickCheck without having a master solution at hand. Please do use it! Polynomial beats exponential. And even if exponential algorithms are heuristically tweaked to handle special cases fast, the MC will find the worst case in which the exponential nature shows up. The MC  makes sometimes random, unscientific decisions, which his alter ego may not approve. But he is the MC and this is his power. And who told you this would be a fair and scientifically correct competition anyway? The MC loves regular expressions. But sometimes he manages to insert sputid tysop in his text that cause a later regex search to fail. In this task, your goal is to develop a regex matcher that is immune against scrambled letters. match (Star (Atom 'a' `Concat` Atom 'b')) ""
match (Star (Atom 'a' `Concat` Atom 'b')) "ab"
match (Star (Atom 'a' `Concat` Atom 'b')) "abab"
match (Star (Atom 'a' `Concat` Atom 'b')) "ababababab"
not $ match (Star (Atom 'a' `Concat` Atom 'b')) "a"
not $ match (Star (Atom 'a' `Concat` Atom 'b')) "abba"
not $ match (Star (Atom 'a' `Concat` Atom 'b')) "baba"
not $ match (Star (Atom 'a' `Concat` Atom 'b')) "ababa"
dyslexicMatch (Star (Atom 'a' `Concat` Atom 'b')) ""
dyslexicMatch (Star (Atom 'a' `Concat` Atom 'b')) "ab"
dyslexicMatch (Star (Atom 'a' `Concat` Atom 'b')) "abab"
dyslexicMatch (Star (Atom 'a' `Concat` Atom 'b')) "ababababab"
not $ dyslexicMatch (Star (Atom 'a' `Concat` Atom 'b')) "a"
dyslexicMatch (Star (Atom 'a' `Concat` Atom 'b')) "abba"     -- consider "abab"
dyslexicMatch (Star (Atom 'a' `Concat` Atom 'b')) "baba"     -- consider "abab"
not $ dyslexicMatch (Star (Atom 'a' `Concat` Atom 'b')) "ababa"
Evaluation criterion: feficiency. Your solution will be tested with short and long strings and simple and deeply nested regular expressions. What a strange week! At first there were 15 submissions. In addition, an anonymous professor attempted a comeback, which was severely constrained by the fact that the professor could literally spend only 10 minutes on the task. In the first round of QuickCheck testing something shocking happened: Only three solutions passed the tests. So for a change we will not start with a Hall of Fame. Above, ⊥ denotes non-termination (or at least "exceeding MC's patience") and  denotes a "Non-exhaustive patterns in function glushkovVars" runtime failure. Addendum: The MC was asked about the details of his QuickCheck tests. Indeed this is useful information that the MC should share. When using QuickCheck there are two main questions to answer. How to generate arbitrary values of a type? And what properties to test? The latter is easy to answer if you have a master solution (or an unoptimized solution for which you are certain that it is correct) at hand. In this case, the MC was testing the property \r w -> sol r w == submission r w where sol was his naive solution using derivatives (see below) and submission is the solution under test. To test this property, QuickCheck must be able to generate random regular expressions and strings. For strings there is some standard setup; for our own data type RE a manual setup is necessary. Generation of random values in QuickCheck is based one the type class Arbitrary. I.e., we need to make RE an instance of Arbitrary. Unfortunately, there is no built-in way in GHC to do this automatically via deriving (as we can do for Eq or Ord). But of course there is a Hackage package to do this automatically. Here are the three magic lines to make the above test work. This will generate random regular expressions, presumably using the uniform distribution to sample the next constructors (and recursion for the recursive components). The MC used this Arbitrary instance for the first test. The generation of the regular expression and the word are thereby completely independent from each other. As a consequence, most match problems generated that way should evaluate to False. This is not ideal (and very incomplete), but was sufficient to discover all the above bugs with one exception. The bug in Simon Yuan's program was found much later during the actual performance test (still with randomly generated regular expressions and words, but restricting the occurring items to come from a small alphabet). To restrict the alphabet and avoid the Zero constructor, the MC had used the following custom Arbitrary instance in his later tests. The definition uses some combinators for generating random values from Test.QuickCheck—the MC recommends to look at the Hackage documentation for sized, frequency, and elements. So it seems that only Kevin De Keyser, Miro Haller, and Börge Scheel are going to get any points in this exercise. However, the MC was in a good mood and decided to take a closer look at the wrong submissions. It turned out (or rather again: QuickCheck with a custom RE generator helped finding out), that three of the failing ones were correct if the input regular expression did not contain the Zero constructor. For both Gabriel Giamarchi and Patrick Ziegler, the problems with Zero came from the fact that they would rewrite Star Zero to Zero (whereas One would be correct)—a quite common mistake that MC's alter ego has encountered while being a TA for introductory automata theory courses. Silvan Niederer's solution seems to suffer from similar problems, although the MC could not pinpoint the source of the problem as precisely. Matthias Brun performed this rewrite correctly. However, his function that would eliminate all Zeros from an expression (or rewrite it to Zero) turned out to be highly incomplete: He forgot some recursive calls. And the rest of his code relied on the fact that there are no Zeros, which explains the . The MC decided to leave these incorrect submissions in the competition (without using Zeros from now on). However, at the end there will be a severe penalty. In particular, no buggy solution should get more points than a correct solution, no matter how well it performs in terms of efficiency. How to rank the different submissions? At first, the MC tried what he usually does: picking hand-selected examples to see which solutions time out and which don't. After doing this for several rounds, the MC noticed that some solutions perform better on long words and simple expressions, while others can handle complex expressions for shorter words. It was hard to differentiate between those two categories. Since this is based on random expressions, the MC rerun this evaluation several times. The individual times would vary from time to time, but the trends remained the same. The above results translate to the following ranking of the week taking the Zero bugs into account. (We put the  next to Matthias Brun to remind us that bugs can happen even to the competition's top performers.) Funnily, the solutions that worked correctly with Zeros are the worse ones in terms of performance (yet they get the most points). Of course, this is just a coincidence: the speedup was certainly not achieved by treating Zero incorrectly. Lets look at some solutions starting with the one by the MC. The MC loves derivatives of regular expressions. If you sneak around at his (alter ego's) webpage, you will find many of his papers that use these derivatives in matching and other algorithms. A derivative of a regular expression with respect to a alphabet letter c computes the regular expression that what remains to be matched after reading c. To go dyslexic, we can use the following version of the derivative, that reads (or consumes) a letter c occurring at any position in the expression. The actual solution by the MC, is a bit smarter. It eagerly simplifies the expressions (in particular exploiting that for our task Concat can be considered being commutative) and memoizes the der function (using some TemplateHaskell black magic to make the code concise). Moreover, it splits the result of the derivative accross the Plus constructor into a set of expressions. If you think of der :: RE -> Char -> RE as symbolically computing the next state of a deterministic automaton whose states are labeled with regular expression, you can think of the version that splits the Plus constructor as computing the next state of a non-deterministic automaton. Now, let us look at the best performing solution by Gabriel Giamarchi, who doesn't sound too optimistic (or to say it positively sees much room for improvement). This program is probably horribly inefficient, but it *should* be correct. problem is the trivial solution. pprint (Plus x y) = "(" ++ (pprint x) ++ "+" ++ (pprint y) ++ ")"
pprint (Star x) = "(" ++ (pprint x) ++ ")"  ++ "*"
pprint2 (NFAPlus x y) = "(" ++ (pprint2 x) ++ "+" ++ (pprint2 y) ++ ")"
pprint2 (NFAStar x) = "(" ++ (pprint2 x) ++ ")"  ++ "*"
--A ``normal'' regex matching algorithm. ----A bruteforce dyslexic matching algorithm, used to test correctness. Besides of the buggy part normalforma2 (NFAStar NFAZero) = NFAZero, it rewrites expressions in an interesting way, exploiting our particular setting in this exercise. The MC believes, that this was the key to victory, as most "random" expressions would be rewritten to something trivial (or very simple at least). 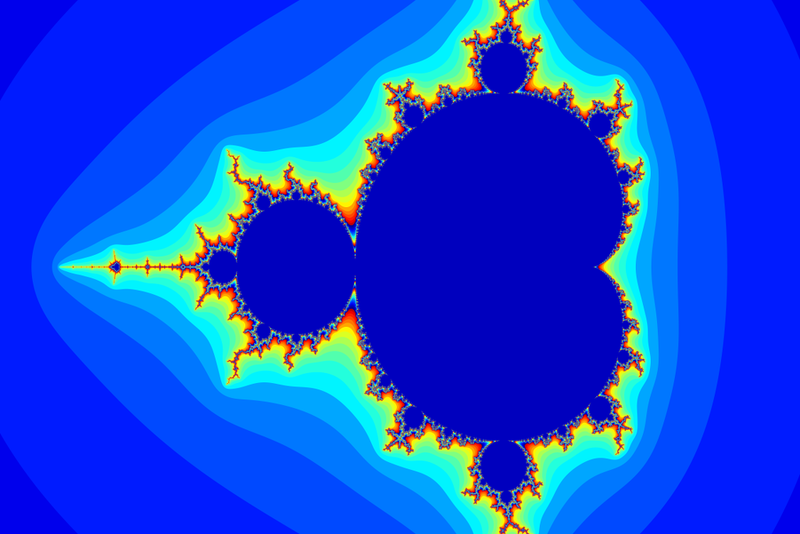 Finally, Matthias Brun's solution is quite nice, too. It uses Glushkov automata, a.k.a. positions automata, which are related to the approach in MC's favorite paper on regex matching. If you don't know anything about those automata, skip the below code first, but read the linked paper! The MC assumes, that the automaton gets large for some of the random expressions. This solution would also benefit from some sophisticated rewriting that Gabriel Giamarchi has performed. -- With this automaton I can efficiently [O(n^3)] match regular expressions. -- than just the one that would come next in the original input. -- so that's that I guess. -- Any regular expression containing zeroes can either be rewritten as one without zeroes or as just Zero. -- That's what `purgeZero` does. -- that is more useful for my algorithm. -- merge is a small helper function that merges (wow!) two lists and removes duplicates. -- structured. I'm sure it could be done more elegantly. -- the regex accepts the empty word. -- A small wrapper to make glushkovVars' easier to call. -- state transitions to check whether or not the input is accepted. As the tasks get more difficult, correctness gets more rewarding (in terms of competition points). We should make QuickCheck part of the FMFP curriculum, to ensure that more people use it. Different solutions optimize different aspects of a problem. Thus, it is difficult to compare them with respect to efficiency in general. This task is rather different from the ones before: implement an AI for paper soccer. There is no Code Expert project this time. Instead, please submit your solutions (with the a extended Easter deadline on Monday, 2nd April, 23:59) by email to the MC. Please use "FP Competition Paper Soccer" as the title of your email. Paper soccer is a two-player strategy game in which unsurprisingly the goal is to score a goal. A description follows below. The MC recommends to also read the Wikipedia article and actually try out the game before jumping on the AI. Our game will take place on a field of the below shape and size. Player 1 tries to score in the right goal, whereas player 2 in the left one. A turn of a player consists of moving the ball (black dot) to one of the neighboring 8 grid points (including diagonal moves). The (possibly diagonal) edge along which a move took place is marked persistently. It is prohibited to move the ball along marked edges a second time. The player do not strictly alternate in their turns. Instead, the turn changes only if the ball moves to a previously unvisited grid point. In other words, a player continues, if (s)he moves the ball to an already visited grid point (i.e., one with an adjacent marked edge). Such "bounces" also apply to the border (i.e., we count the border grid points as being visited by default). There are several winning conditions for the players. To win, you have to either score a goal, force the opponent to score an own goal, or force the opponent into a dead end. Moreover, each player has only 5 minutes for the game in total. We model the game in the module Soccer. You might need to install a few Hackage packages to load the module. The instructions are in the source. The state (State) of the game is the position (Pos=(Int,Int)) of the ball together with an assignment of marked adjacent edges for each grid point. We represent the assignment using a matrix indexed by positions ((0,0) is the top left corner of the field; (5,4) is the initial position of the ball; the actual goals are nor part of the matrix) that stores an 8 bit word for each grid point. Each bit corresponds to a direction (Dir)—the conversion between directions and bit indices can be done using fromEnum and toEnum. If a bit is set for a grid point, then the edge going to the corresponding direction is marked. Note how the borders are modeled as preset words. The size parameters (xMax and yMax) set in this module are fixed and will not change for the competition. An AI for paper soccer is a pure function of type step: Double -> State -> m -> (m, Dir) that inputs the remaining time (in seconds), a state, and some polymorphic memory slot, which you may instantiate with any type you want and use it to store reusable information. The function should return the direction in which the ball should move next together with an update of the memory. Be careful to produce only valid moves (producing invalid ones is an additional losing condition). As examples, the MC has prepared a few dumb AIs, that don't even try to think strategically. You certainly can do better than that. Please submit a single file called Player<FirstnameLastname>.hs which implements two Players: player1 that targets the right goal (and has the first move) and player2 that targets the left goal (and goes second). In principle, you may use the same strategy for player 2 as for player 1, by using the inversePlayer function (which rotates the field, computes a direction and inverts it again). However, you may also use different strategies for the two players. The submissions will be evaluated in a tournament, similarly to the one shown in the Main module. Oh, and graphical visualizations of the state that are nicer than the box-drawing ASCII art of the MC are very welcome contributions, too. The MC is not sure, if they would yield any competition points, though (depends on the beauty). Let the games begin! We have 11 student contestants. The MC did not participate this time: he decided to spend his energy on carrying out this evaluation, which includes some time-consuming-to-generate drawings. The MC has decided for a league-like tournament: everybody plays 21 matches (11 as the first player, 11 as the second player, including one match against oneself). The final states of all the 121 games are visualized in the below table. The rows are headlined by the first players, the columns by the second ones. A black border around a picture means that the second player has won that game. Otherwise, the first player is the winner. The best players are thus those that have many entries without a border in a row, and many entries with a border in a column. Each picture is clickable and opens a gif (produced by a modified Soccer.hs) that replays the match. The replays are not in real time: if the turn changes, there is a 1 second pause; otherwise the ball moves every 0.2 seconds independently how long the contestant's AI was "thinking" to produce that move. The green bar highlights the player to move. Also the contestants' initials are clickable and bring up the (as usual well-documented) implementations. Alternatively to clicking through 121 gifs, you can also go to this webpage and watch all the games simultaneously. For this you will need a big screen (we know that Gabriel  has one) and a good internet connection (as it will load >200 MB of gifs). We have a clear winner! In total, we obtain the following scores (=number of won games) and ranking. The MC had a nice Easter break and decided to award points to all 11 contestants. We see four "/2" punishments. In three instances, the AI was sometimes (roughly: for half of the games) failing with an index out-of-bounds runtime error. Two of those were invoking MC's move function without respecting its (unwritten) preconditions: the ball may not leave field (and scoring a goal counts as leaving the field although the direction of the move is valid). The third one was an even more blatant array indexing error. The above sources are free of those errors, because the Easter-MC was very kind to fix them (and leave the contestants in the competition). The fourth punishment is for Mathias Blarer's solution, which would at first time out in every game. Mathias solution would adjust the search depth based on the remaining time. Apparently, Mathias messed up the function that computes the adjustment. The above source is his second version (that arrived after the deadline and after the MC asked about the time-outs), which now times out only for half of the games. To play the tournament, the MC at first used a high degree of parallelization. All games were then evaluated in about 5 minutes (many games didn't take much time to play due to simplistic AI's). However, the MC's simplistic time measurement using the timeit package was not functioning accurately. In the end, the MC discarded the results of the parallel games, in favor of a single threaded evaluation (which took a few hours, but did not suffer from spurious time-outs and other glitches). Interestingly, most solutions did not take the time parameter of the step function into account. These solutions behaved deterministically (and independently of the number of threads). A few others (e.g., Gabriel or Mathias), however, have based their search depth on the time parameter which resulted in (mildly) pseudo-random behavior. The whole situation has reminded the MC of the following anecdote about the Vampire prover for first-order logic. Vampire takes part in a competition in which provers have a fixed amount of time (say 5 minutes) to solve a particular problem. The organizer of the competition was in the process of determining a suitable timeout. He used Vampire on a particular problem with a timeout of 5 minutes and Vampire solved the problem in 4:59. Next, he tried a timeout of 3 minutes and Vampire solved it in 2:59. This went on and on until Vampire was able to solve the problem within seconds with a timeout of a few seconds. How could this happen? Vampire was aware of the timeout and adjusted its strategies (or heuristics) for solving the problem accordingly. Only the very last strategy tried was successful for the problem at hand. And it was typically tried only in the last few seconds. Finally, a few words about the techniques used: minimax, alpha-beta pruning, and game tree algorithms were recurring themes in the better performing solutions. All these generic, advanced (but not too difficult to implement) techniques crucially rely on a good cost functions for the game's state. Moritz Knüsel's solution didn't have a good cost function and performed badly despite using such techniques (implemented in the Hackage package game-tree). Oh, and Moritz has used TABs in his solution. Probably that's another source of problems. In turn, Gabriel seems to have found a very good cost function and the MC sees no TABs. Measuring time in a multi-threaded environment is not easy. Time is a fairly good (for the purpose to have an AI that behaves differently) source of pseudo-randomness. An AI for a game must know the game's good and bad states (as precisely as possible). The following is the final task of the competition. The submission deadline is Sunday, 8th April, 23:59. The results of this task will be announced (and followed by the award ceremony) in the last lecture of the FP part of the course on Tuesday, 10th April. The actual task is very simple: Be original! You are required to submit by email to the MC a picture with any content you want (in one of the following formats: jpg, png, svg, pdf, gif) and a Haskell program (a single file: Art.hs) that was used to generate the picture. Please use "FP Competition Art" as the title of your email. Here are some examples of graphics libraries that you are encouraged to use (others are welcome, too). The pictures will be evaluated with respect to the aesthetics of the artwork (by an independent but highly subjective jury) and the aesthetics of the code (by the independent but highly subjective MC). Hint: Such an artistic task is a traditional ending of a competition. You can look at previous year's submissions for some inspiration. Various fractals have been fairly popular among the past submissions. If done properly (i.e., beautifully), they will guarantee you a secure place somewhere in the middle. But typically, to win this task one has to create something more original and surprising. The results are summarized in the slides (12 MB) presented in the last lecture. The animated version (23 MB) is much prettier (provided that you have a device that supports Keynote).